"I wanted an aggressive race and had planned to attack, but Katie went so early I knew I'd have to go with it," added the London 2012 team pursuit gold-medalist. 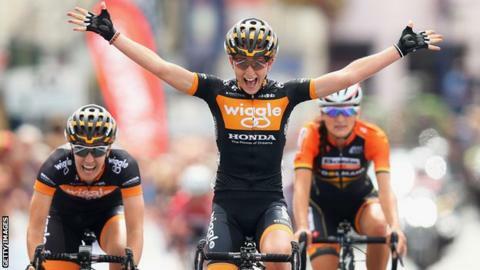 King, who decided in October to switch from track to road cycling to ride full-time for team Wiggle Honda, takes a slender lead over Pearl Izumi rider Archibald into Sunday's second stage. King remains keen to compete on the track in the 2016 Olympics in Rio.